Captain Rick Genest of Fire Station 10 in Rosslyn emphasized in his talk at the April RAFOM meeting the importance of smoke detectors. Now I've gotten word from RAFOM President Stan Karson that Captain Genest is offering free 10-year lithium-battery smoke detectors to neighborhood residents. The Fire Department will even install the smoke detector for you. 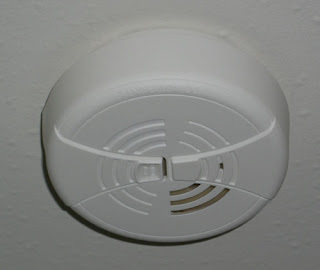 The goal is to have a smoke detector in every bedroom and at least one on each floor in every dwelling in the neighborhood. Potentially save your life, your neighbor's life, and a lot of property -- all for free. Get a smoke detector right away! Update: I got one for my bedroom.